Try as you like, it’s almost impossible to avoid the friend sleepovers. The good thing about child sleepovers is that they can be a lot of fun for everyone, especially if you are prepared. The even better thing is that you can expect the children’s parents to reciprocate sometime down the road which means a child-free night for you! So how can you host the sleepover to beat all sleepovers and be crowned the most fun mum ever? Let us show you. Sleepovers differ from birthdays because you don’t get to send them all home after the party ends! Instead, you have the always-fun task of feeding them and then getting them to calm down and actually go to sleep. It isn’t likely the kids will get bored but, if they run out of things to do, they normally resort to destroying the house or getting into things they shouldn’t so have a number of games and other diversions on hand. Let them play hide and seek, jump on a trampoline or set up an obstacle course. This is a great way to wear them out before the sun goes down. Cheap. Easy. Fun. Delicious. 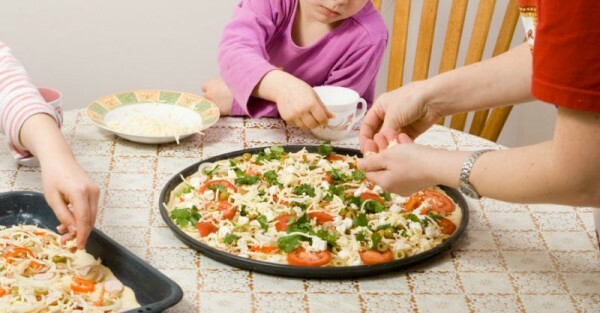 Plus, the kids will love choosing their toppings and creating their own pizzas (and it kills some time as well). Scary movies can be fun at sleepovers but aren’t so great when it comes to bedtime. Stick to funny ones, especially if the kids are new to sleeping over. Make sure you let the other parents know beforehand what you’re planning to watch, as a courtesy. Not juice or soft drink! This will ensure the kids aren’t bouncing off the walls when it’s time for bed. Have a quiet activity ready for them just before bed to help them wind down. Host a Lego building competition and see who can build the best city, car or house in a certain amount of time. 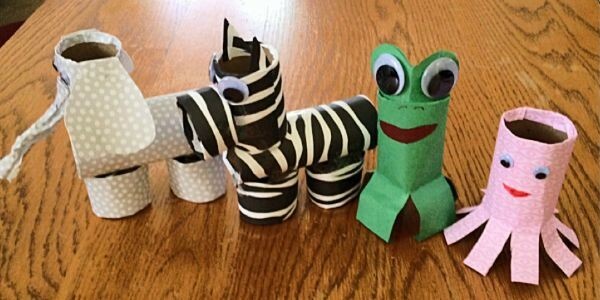 Set up a simple craft, like paper plate masks or toilet paper animals for them to create. We simply adore the Snooze range of trundles and bunk beds which are perfect for every day as well as special occasion sleepovers. The Paris Sleigh Single Bed Frame can come with a trundle which acts as a great storage solution as well as a second bed, perfect for sleepovers, at an additional cost. While you may let the kids stay up a bit later than normal, try to stick to a standard routine, whether this is dinner-play-bath-book-bed, dinner-bath-play-book-bed or however you normally do it. Familiar routine will help kids feel more at home. One of the most exciting things about sleepovers is that it is a new environment and a special treat but the sleepover guest can be left feeling uneasy, especially as bedtime approaches. Help them settle in by giving them plenty of time to get used to the sleeping area. Let them set up their things, pull out their pyjamas and play around in the bedroom. The Snooze Taylor Matrix single bunk frame is another excellent option for parents with more than one child or for when someone is sleeping over. Both the top and bottom bunk are comfortable, safe and spacious and there is plenty of storage space to hold teddies, photos or other small items that may make a child more comfortable at bedtime. Because you might need both. Regardless of whether this is the first of many sleepovers or your kids are used to having an extra visitor in the bedroom, a little preparation goes a long way. If you’re considering a new bedroom set as your kids get older, now is a great time to shop at Snooze as the Big Brand Sale is on from 12 October 2015 until 8 November 2015 with discounts up to 45 per cent on certain products.